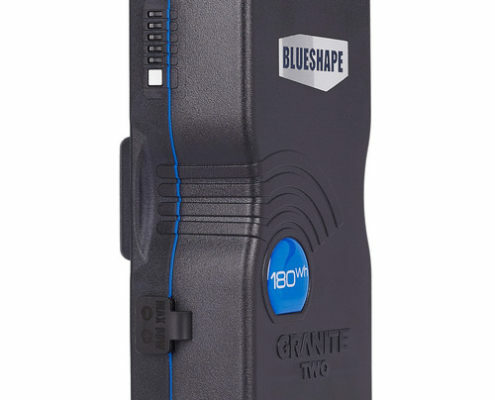 Designed to be used in professional video applications BLUESHAPE‘s GRANITE TWO batteries add new Wi-Fi connectivity to the feature list of the original GRANITE battery series. On the outside, these batteries are designed for the film or video set. The textured finish is easy to grab and is resistant to blemishes from drops and impacts. Both the interior and exterior have been tested to survive multiple vertical drops from up to 6 feet onto hard surfaces. Aside from being robust, the GRANITE batteries are also powerful. 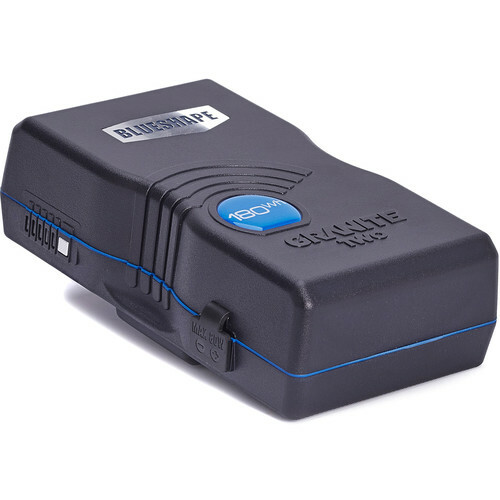 Cameras and lights can draw up to 9 amps, between the main battery output and the two D-taps on the sides. In addition to outputting 14.8 volts of power, either D-tap can serve to charge the battery with a separately available D-tap charger. As an extra measure of protection, the D-taps have rubber covers that help maintain the IP54 resistance rating against moisture and dust ingress. 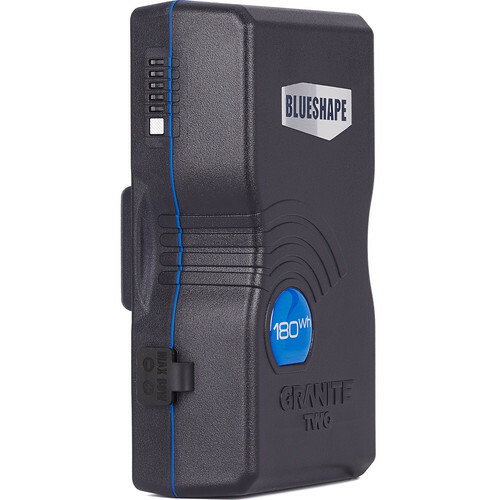 While the 5-LED battery meter is useful and convenient, BLUESHAPE offers a free iOS/Android app that can monitor and control various aspects of the battery, completely wirelessly, over Wi-Fi. The app updates in real-time based on current capacity, charging speed, and power draw. 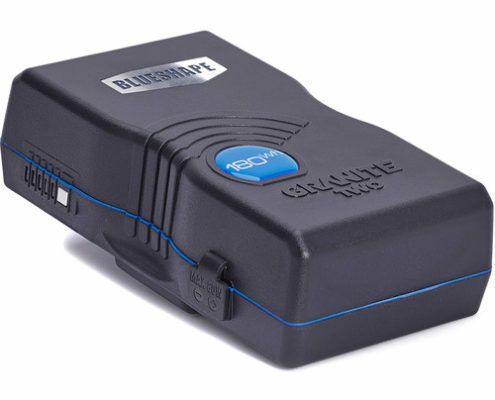 On set, all batteries can be monitored on the same network, so not only do you can know when to grab a fresh battery ahead of time, but which battery is ready to go without having to play a guessing game.